Some of our generous donors have stepped up for #GivingTuesday! If we reach our goal of $10,000 raised that day, we have donors who will MATCH the donations – giving us a total of $20,000 in donations for our important work! #GivingTuesday is the global day of giving, and it is always the first Tuesday after Thanksgiving. Unlike Black Friday and Cyber Monday, #GivingTuesday is intended to celebrate the true spirit of the holiday season by building support for charities who are working tirelessly to make this a better world. In 2017, #GivingTuesday raised over $300,000,000 by 2,50,000 people in 150 countries. On Tuesday, November 27, 2018, The Butterfly Project is joining this global day of giving for a third time. We hope you’ll help us to make it a success! Last year we set out to raise $7,500 and raised over $12,000, with 42% of our #GivingTuesday 2017 donors as first-time donors to The Butterfly Project. Inspire 150 donations on November 27, with 75 gift coming from new donors. Together we can make this a reality. Provide our curriculum and butterfly kits at reduced prices or free to underserved students. 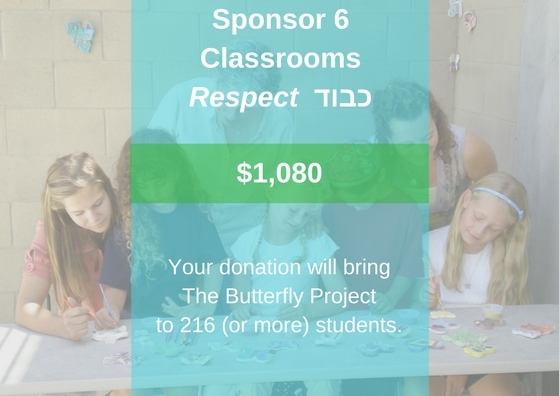 Each $180 donated brings The Butterfly Project into the hands of 36 more students, often from schools with little to no budget for engaging programming such as this. Develop age-appropriate Holocaust curriculum and lesson plans that translate to real life lessons including Anti-Bullying. Help us expand our comprehensive teacher training program to empower more K-12 educators to teach the difficult lessons of the Holocaust and make it relevant to problems in today’s society. 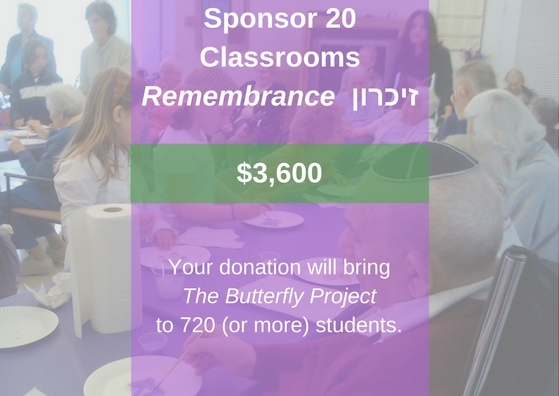 Get closer to our goal of 1.5 Million painted ceramic butterflies to memorialize every child who perished in the Holocaust. Our work would not be possible without our generous supporters. Every dollar will help us combat modern hate and bigotry through art and education. With your support we are empowering the next generation to take actions against injustice. Please consider making a gift this #GivingTuesday and share this message with a friend who cares about our Jewish legacy. Don’t want to wait? Help us make an impact with a gift of any size today. To donate one of the designated levels listed below. To donate an amount of your choosing. 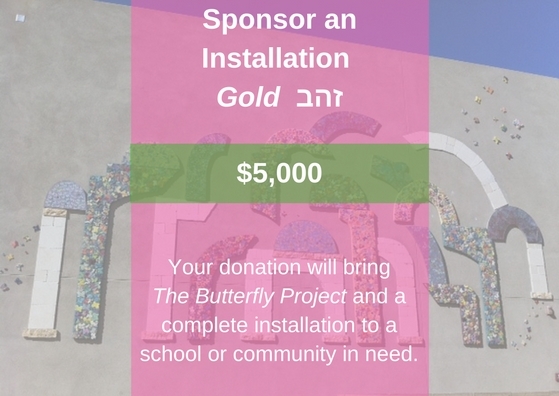 If you have any questions about donating to The Butterfly Project, please contact us at 619-708-6883 or email us at info@thebutterflyprojectnow.org. To donate one of the designated levels listed above. 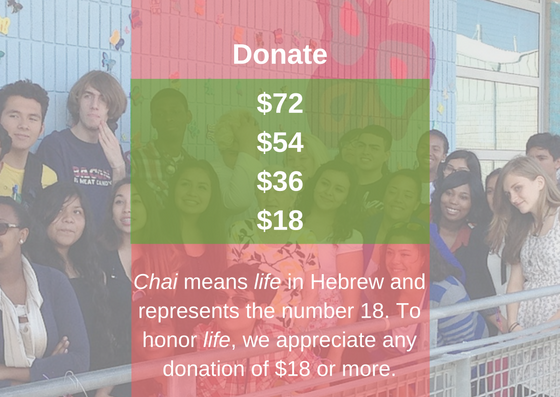 If you would prefer, donations can be made through San Diego’s Jewish Community Foundation. 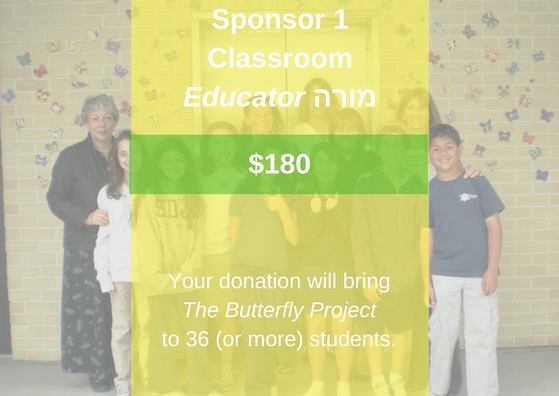 Under Designation of Funds please choose The Butterfly Project Fund. You may also call them at 858-279-2740. You will receive a receipt for tax deduction purposes once your donation has been processed.